The Hindu Lit for Life is an annual literature festival organized by The Hindu group of publications in Chennai, India. 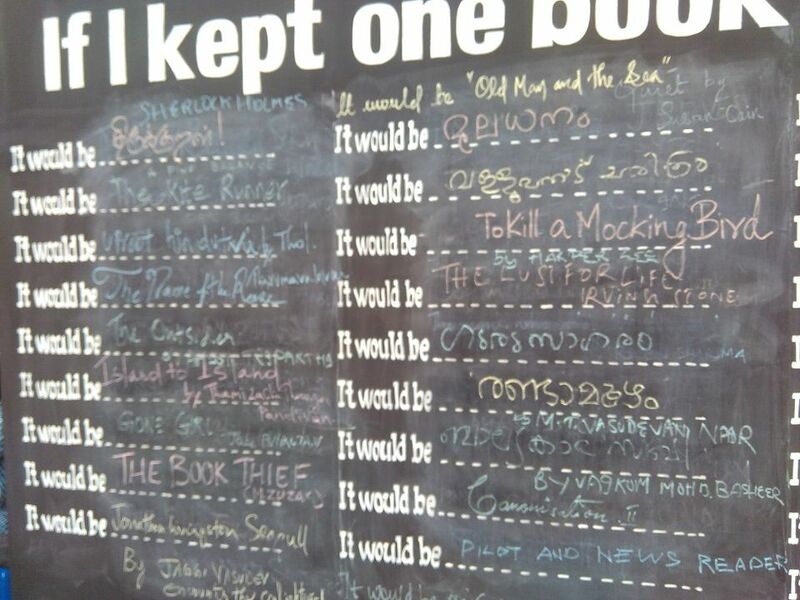 During this year’s (2016) event, they had kept a slate and a chalk where readers could go and vote (mention) their most cherished book (If I kept one book, it would be….). 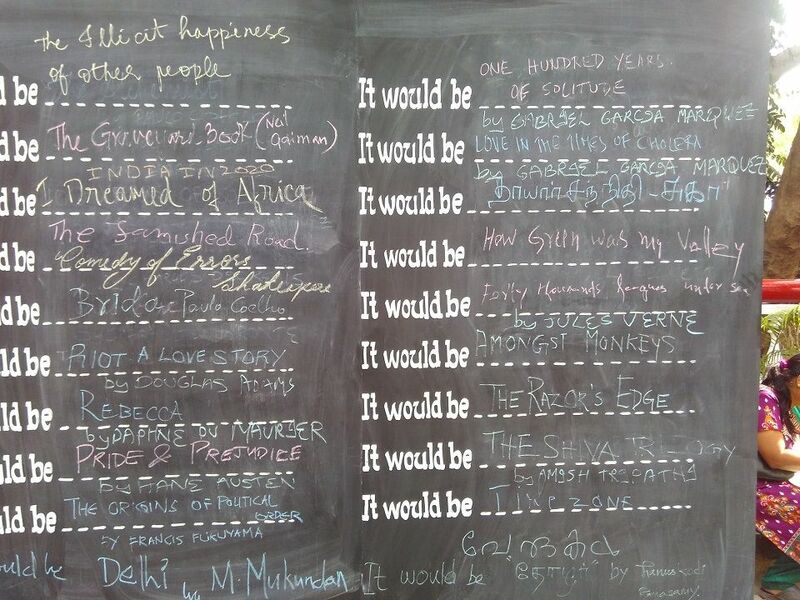 Below are some books opted by various readers – both fiction and non-fiction, and in no particular order. This list contains only English books. The Illicit Happiness of Other People – Manu Joseph. The Graveyard book – Neil Gaiman. India 2020 – A. P. J. Abdul Kalam. I Dreamed of Africa – Kuki Gallmann. The Famished Road – Ben Okri. The Comedy of Errors – William Shakespeare. Rebecca – Daphne Du Maurier. Pride and Prejudice – Jane Austen. The Origins of Political Order – Francis Fukuyama. One Hundred Years of Solitude – Gabriel García Márquez. Love in the Time of Cholera – Gabriel García Márquez. How Green Was My Valley – Richard Llewellyn. Twenty Thousand Leagues Under the Sea – Jules Verne. The Razor’s Edge – W. Somerset Maugham. The Shiva Trilogy – Amish Tripathi. The Kite Runner – Khaled Hosseini. The Outsiders – S. E. Hinton. Gone Girl – Gillian Flynn. To Kill a Mockingbird – Harper Lee. Lust for Life – Irving Stone. From the list, I loved “Graveyard book”, “Rebecca”, “Gone girl” and “Kite runner”. You should definitely read those books. In the list I read only 2020 and want to read the kite runner for long time… hope to check these books sometime if I find interesting.